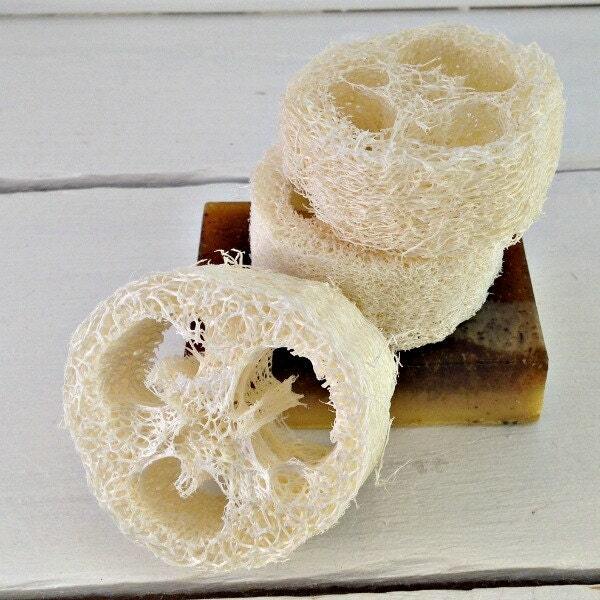 The loofah, or luffa, is a wonderful, natural exfoliant. It begins as a gourd, and, once matured, is harvested, cleaned, and dehydrated. 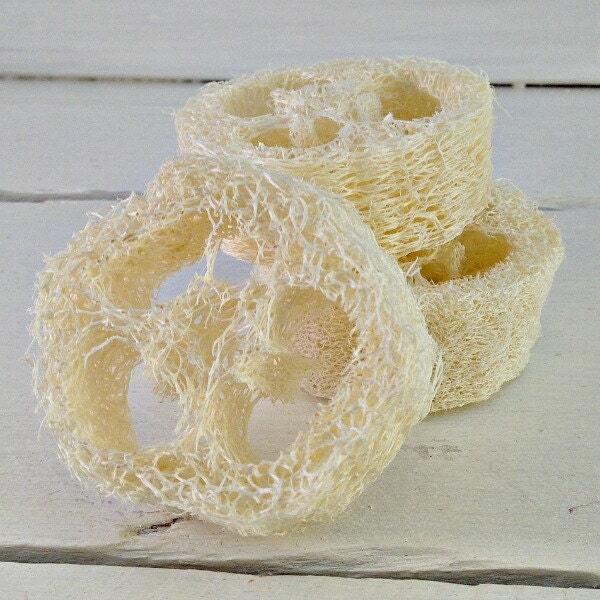 Use this scrubby loofah slice to gently exfoliate your face or any other area that needs gentle natural exfoliation. Measuring 1" diameter, color and exact size will vary.